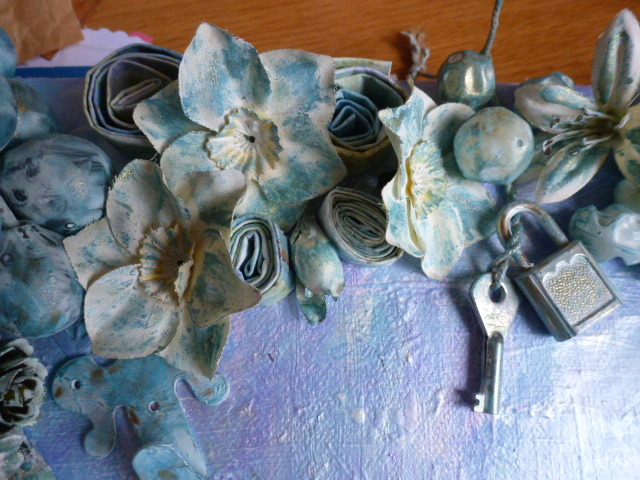 This was one of my first efforts at altering a canvas, and Im so pleased with it. I just love the colours. 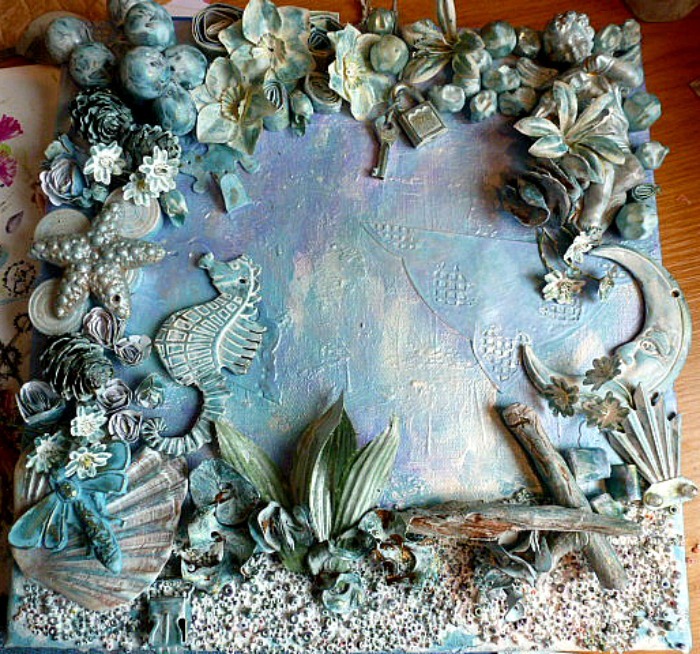 I used all kinds of bits and bobs to make it up, Gesso’d everything to within an inch of its life and then coloured it with my fave Treasure Golds!! Used Acrylic inks, masks for a bit of texture, just messed around and love the result! I hope you do too! 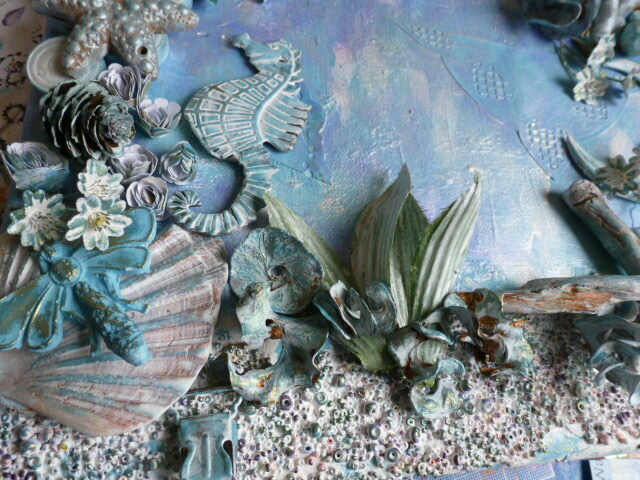 You can see the clam shell I found on the beach to use, and my glue mould dragonfly, as well as a seahorse from a chime, and the sea bed here is made up of tiny beads pushed into texture paste. 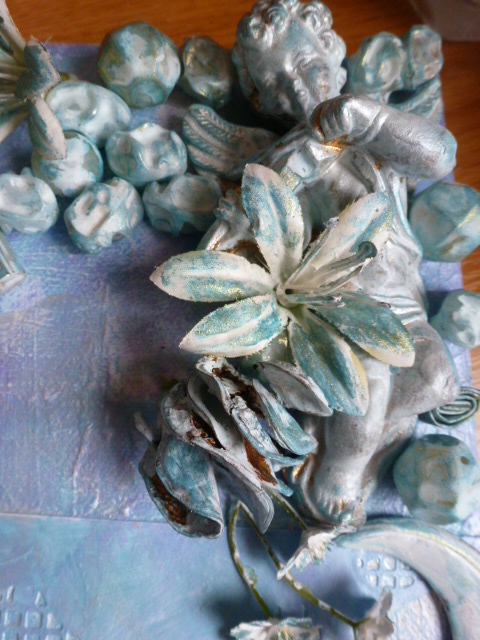 the silk flowers I bought in a junk shop and the beads are just that, gesso’d and coloured with Treasure Gold, and the swirly bits are pop pouri! I made cone flowers by rolling paper, and added a lock and key found in a junk shop. To the left you can see the ‘moulded’ area where Ive put texture paste through a mask. 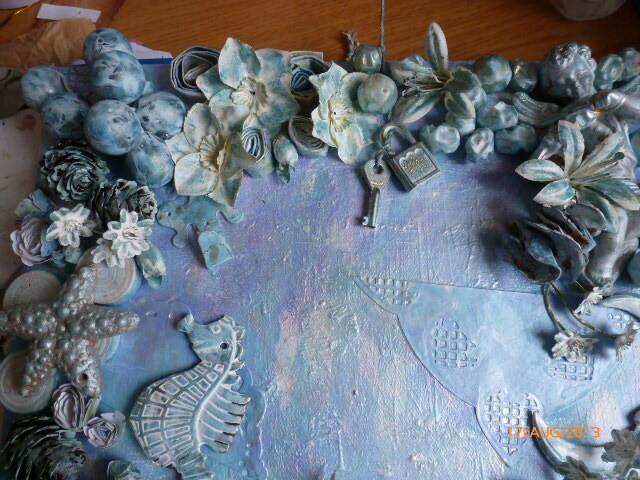 I added a doily of sorts onto the canvas, ok, so that didnt work out as planned, but its all good fun! Thank you, l do love this one myself 😉 My husband wont let me put it up as it doesnt go with our colour scheme!! !